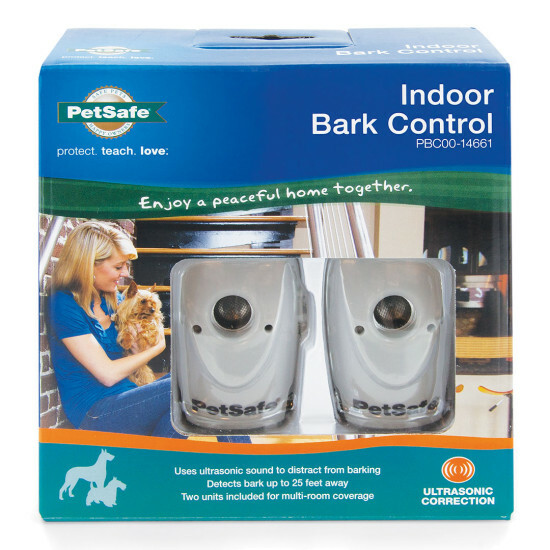 The Indoor Bark Control automatically deters your dog’s barking, bringing peace and quiet to your home. Using the adhesive-backed hooks, simply place one of the devices on a wall, door frame, or table in whichever room your dog barks the most. Whenever your dog barks, the device emits an unpleasant ultrasonic tone that's inaudible to most humans. Your dog will learn to associate his barking with the high-pitched sound and stop barking. Most dogs bark less within a few days. 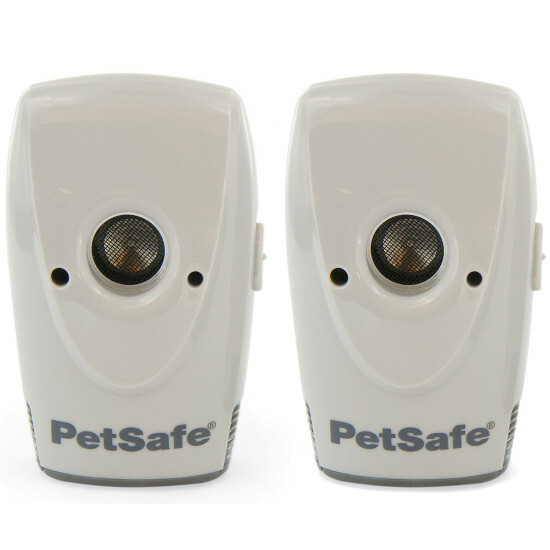 The deterrents are available in single or dual packs for homes to cover multiple rooms. No Bark Guarantee: Some dogs may not be responsive to ultrasonic correction. If this product doesn't meet your needs, contact us to find the right barking solution for you and your dog. Make sure there aren't any large objects between the bark control and the dog. The sound doesn't travel well through walls or large objects. Don't use this bark control device on dogs who are deaf or hard of hearing. They won't respond to the ultrasonic sound. Turn off the device when not in use. This helps prevent dogs from becoming desensitized to the sound and improves battery life. Don't use this product outside your home. The ultrasonic sound will bounce differently outdoors. Use outdoor bark control instead. This product works best in single dog homes. Try a bark collar for multi-dog homes.